Rising tension or trouble sleeping as a result of financial concerns. Are you facing some or all of these situations? Call McKellar & Easter today for a free consultation with a bankruptcy attorney. How do I begin the process to file bankruptcy? First, contact a bankruptcy attorney in your area. 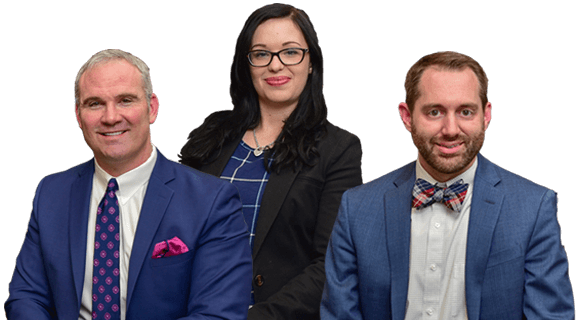 At McKellar & Easter, we offer free consultations. We will meet with you to discuss the best course of action for your financial situation. You will discuss with the attorney your monthly income, monthly expenses, the amount and nature of your debts, and what you hope to accomplish. Obtaining a credit report can help you make sure you haven’t missed any debts. Should bankruptcy be the best option for you, then you will need to complete a credit counseling course prior to filing your Petition. Click here to find information on providers of this service. These classes are available in person, online and via telephone. You will provide your attorney with paperwork such as pay stubs, bank statements, deeds, and tax returns. Next, our office will prepare your Petition and all accompanying schedules and required documents. You will review these and we will make any necessary changes prior to filing. How will filing impact my creditors? The automatic stay goes into effect as soon as you file your bankruptcy petition, and it stops most debt-collection activity. During the stay, most creditors cannot file suit or pursue a suit already filed, contact you via telephone or mail, and usually must stop wage garnishments. The bankruptcy clerk will give notice of your case to all creditors whose names and addresses are properly provided by the debtor. The stay does not apply to all debts and does not include alimony and child support. Do you need a lawyer in the Knoxville area to help you with a Chapter 7 bankruptcy? Chapter 7 Bankruptcy is the most common bankruptcy filed by individuals with primarily consumer debt. Chapter 7 is sometimes referred to as the “fresh start” bankruptcy option. How do I know if I qualify for a Chapter 7? Generally, there are two ways to qualify for Chapter 7. The first is to earn below the median income for a Tennessee family of equivalent size. Income will include any earnings from employment, money taken from an annuity, proceeds from the sale of property, and contributions to household expenses from others. It does not include social security income. Click here to see the Median Income Table put out by the Census Bureau. Even if you make over the median income for a family your size, that does not necessarily mean that you won’t qualify for Chapter 7. Under the Bankruptcy Code, you may still qualify depending on your monthly expenses and disposable income that you have left over. Your attorney will help you complete a Means Test to determine if Chapter 7 is for you. In a Chapter 7, the Trustee gathers and sells the debtor’s nonexempt assets and uses the proceeds to pay holders of claims (creditors) in accordance with the provisions of the Bankruptcy Code. However, most Chapter 7 bankruptcies are “no asset” cases, because most if not all assets can be protected via specific state exemptions that a debtor has the right to use to protect property that is important to them. Personal property up to $10,000.00. Homestead up to $5,000.00 for individuals, $7,500.00 for joint owners, and $25,000 for debtors with minor children. For secured debts such as a home or car, you may have the option to keep them and still receive a discharge, depending on your financial situation. You may not be able to file if, within the preceding 180 day, you have had a prior bankruptcy dismissed due to a willful failure to appear, comply with court orders, or you voluntarily dismissed your case. Therefore, it is important to be able to discuss the details of any prior bankruptcies with your attorney. Not every debt is eligible for discharge under the Bankruptcy Code. Certain debts are non-dischargeable, including child support, alimony, student loans, taxes, debts incurred as restitution payments or debts incurred through fraud. Do you need a Knoxville bankruptcy attorney for a Chapter 7 bankruptcy? Call us today for a free consultation with an attorney. Do you need a lawyer in the Knoxville area to help you with a Chapter 13 bankruptcy? A Chapter 13 bankruptcy is also called a wage earner’s plan. It enables individuals with regular income to develop a plan to repay all or part of their debts. Under Chapter 13, debtors propose a repayment plan to make installments to creditors over three to five years. During this time creditors will not be able to collect a debt listed in the bankruptcy petition. In order to receive payment from the Chapter 13 Trustee, creditors must file a proof of claim after receiving notice of the debtor’s bankruptcy filing. Chapter 13 offers individuals a number of advantages over liquidation under chapter 7. Perhaps most significantly, Chapter 13 offers individuals an opportunity to save their homes from foreclosure. By filing under this chapter, individuals can stop foreclosure proceedings and may cure delinquent mortgage payments over time. Nevertheless, they must still make all mortgage payments that come due during the Chapter 13 plan on time. Another advantage of Chapter 13 is that it allows individuals to reschedule secured debts (other than a mortgage for their primary residence) and extend them over the life of the Chapter 13 plan. Doing this may lower the payments. Chapter 13 also has a special provision that protects third parties who are liable with the debtor on “consumer debts.” This provision may protect co-signers. Finally, Chapter 13 acts like a consolidation loan under which the individual makes the plan payments to a Chapter 13 trustee who then distributes payments to creditors. Individuals will have no direct contact with creditors while under Chapter 13 protection. Any individual, even if self-employed or operating an unincorporated business, is eligible for Chapter 13 relief as long their debts do not exceed the debt limits set forth in 11 U.S.C. § 109(e). Do you need a Knoxville Chapter 13 bankruptcy attorney? Call us today for a free consultation with an attorney.